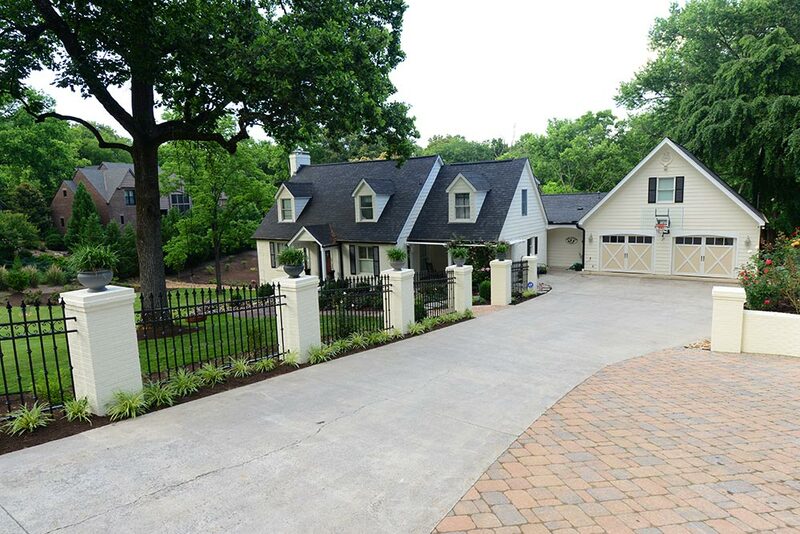 Earthadelic was selected to provide a total landscape makeover for a property in Sequoyah Hills. 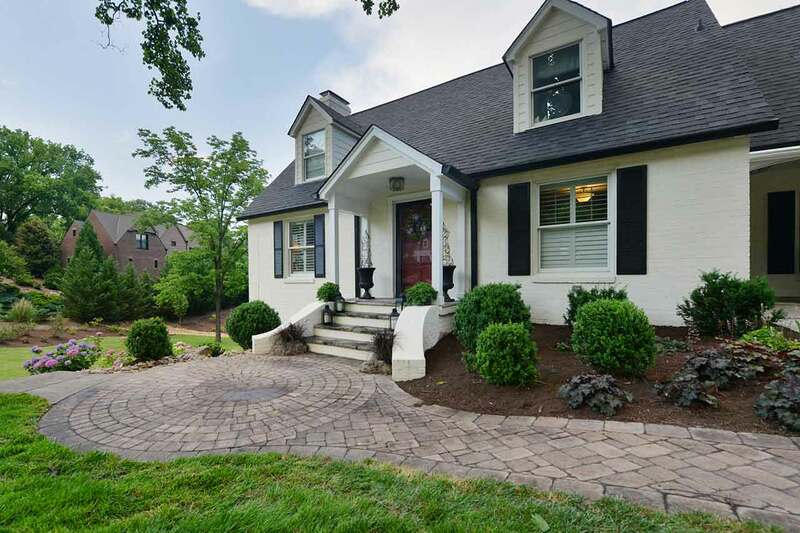 The plan called for painted brick pillars with wrought iron fencing, a new paver parking area, rose gardens, privacy trees, a complete yard installation with irrigation, and numerous flower beds. The sloped nature of the lot required very detailed construction documents with respect to water drainage and the overall design schematic. 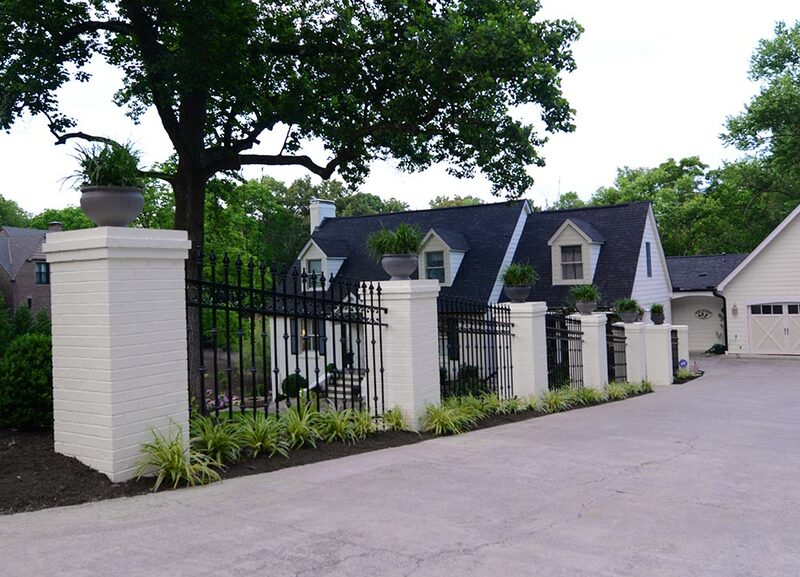 Earthadelic's hardscape and masonry teams worked hard to provide a finished project that looked like it had been constructed with the original home. Earthadelic handled the design and installation of the entire front and side yard on a one acre property. 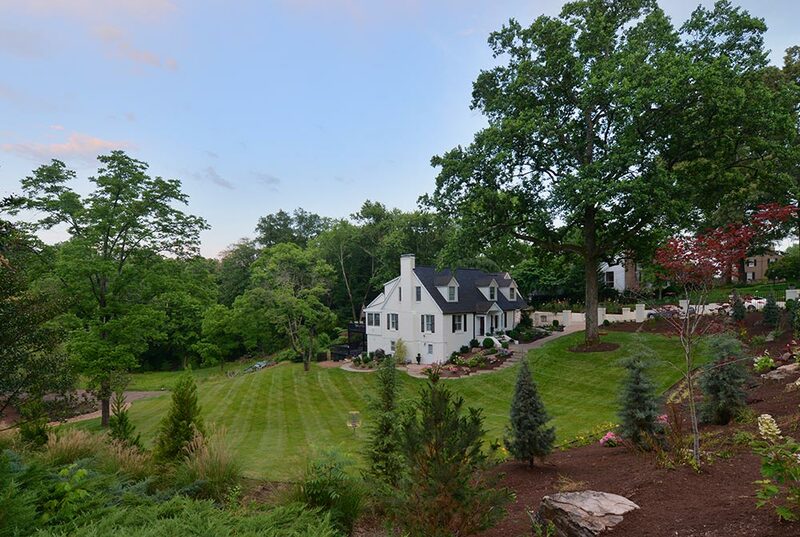 Featuring numerous gardens and hardscapes, the installation transformed a previously unusable space into a lush, green landscape. 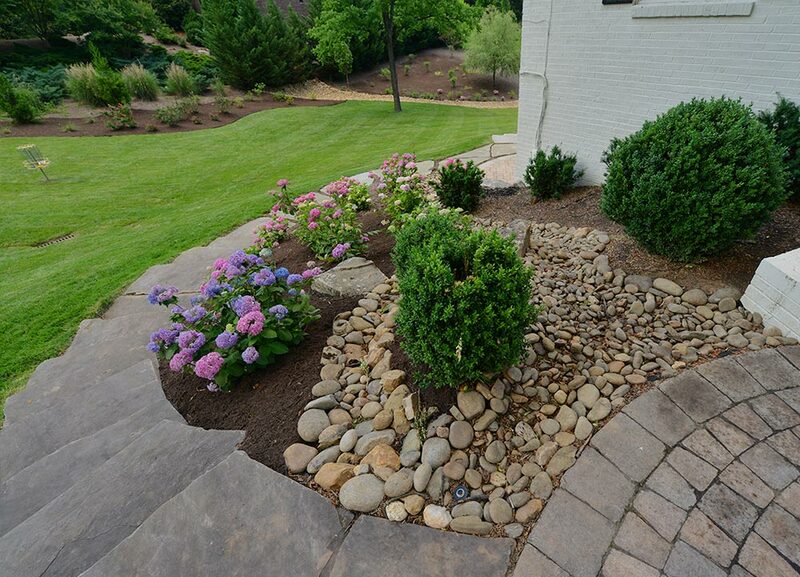 Local stone was used throughout the landscape, including these stepping stones leading to the backyard. The homeowners asked us to screen out the nearby road by installing evergreens that will grow into a natural privacy wall. Brick columns and wrought iron work together with a hedge of Liriope to separate the driveway from the yard. Descending down into the lower yard, one experiences a variety of plants and hardscape textures. 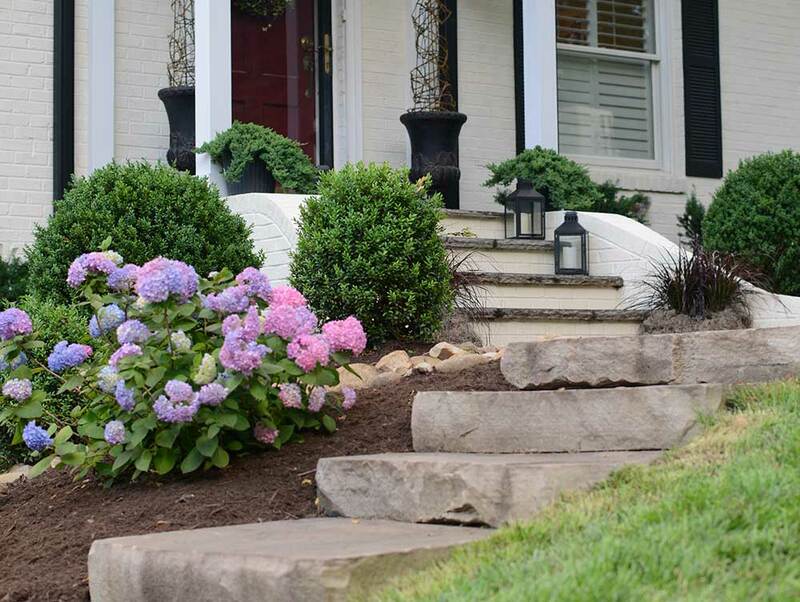 Here, concrete pavers, natural stone steps, and river rock are used seamlessly. Blue and pink hydrangeas add a pop of color. 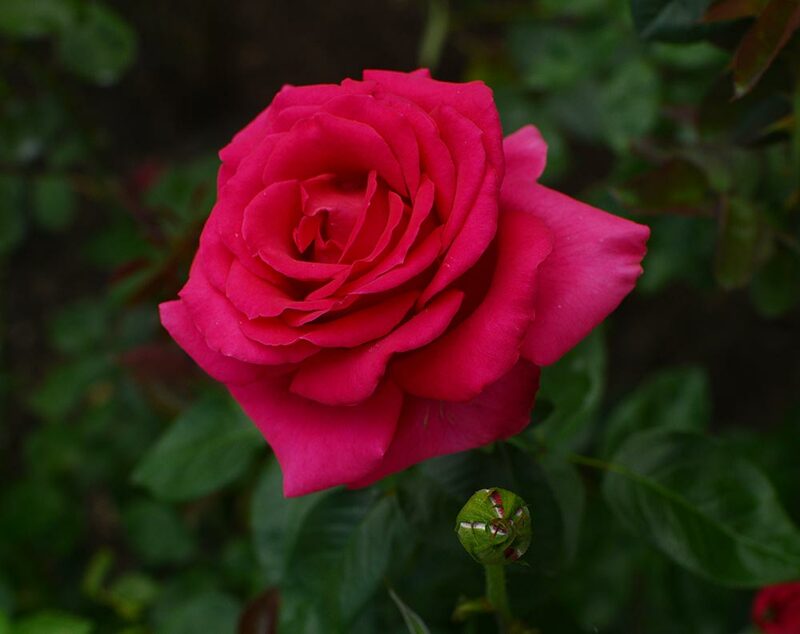 Earthadelic provided the homeowner with a rose garden featuring a multitude of colors, like red, peach, yellow, white, cream, and pink. The fence was divided up with the creation of painted brick piers (pillars). The brick masons enhanced the look by corbelling slightly at the top. A parking area was created with the addition of a paver patio. 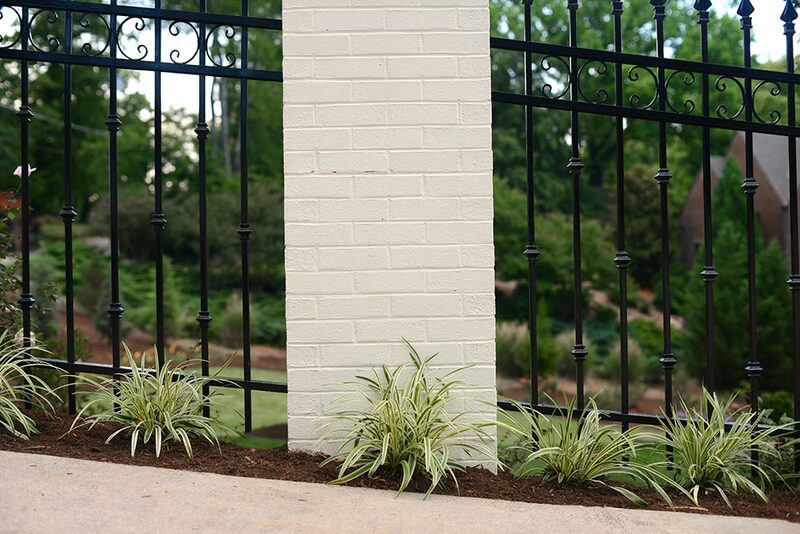 A painted brick retaining wall defines the edge and integrates seamlessly with the rest of the landscaping.